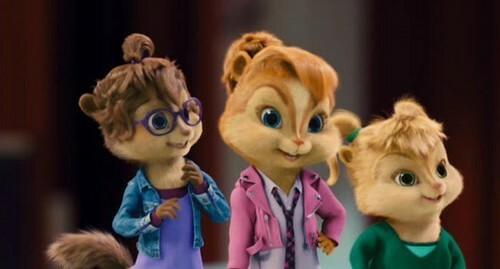 The Chipmunks and The Chipettes. Some screenshots I taked from the first and सेकंड movie.... Wallpaper and background images in the Alvin and the Chipmunks 3: Chip-Wrecked club tagged: alvin. This Alvin and the Chipmunks 3: Chip-Wrecked Screencap might contain चित्र, headshot, closeup, हेडशॉट, and क्लोज़अप.